Quinn London Ltd were appointed as the Main Contractor to work alongside The Trustees of Caius House (Client) and EC Harris (Client Agent) to Design and Build a new community facility. Within QLL’s design, one of the main areas incorporated in the works was a multi-purpose sports hall. This provides 3 badminton courts, 1 volley ball court and 1 club level basketball court - with electrically retracting basketball hoops. 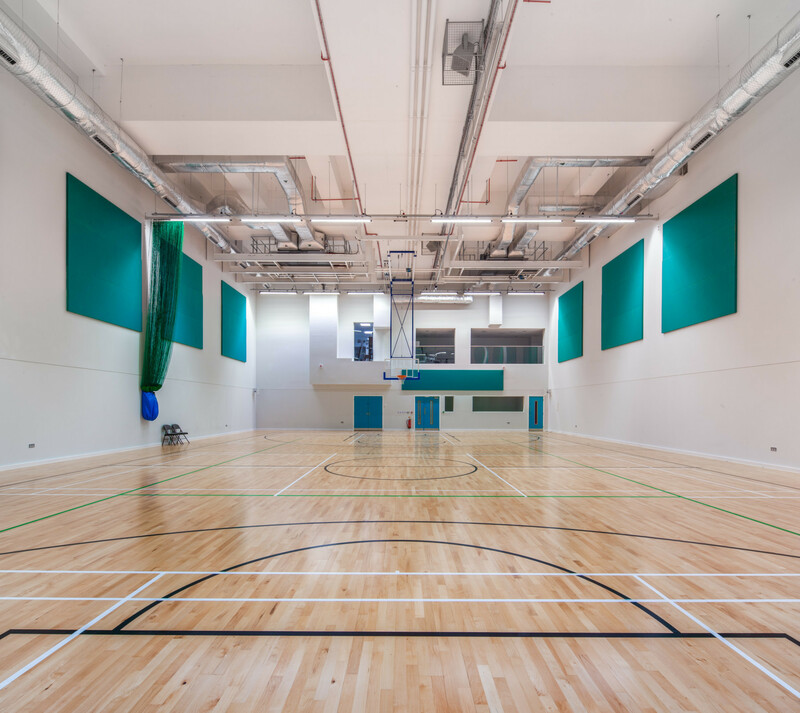 The sports hall walls are clad in sound absorbing acoustic panels, to help deaden the reverberation of sound, allowing the hall to be used for other activities such as theatrical performances and presentations. 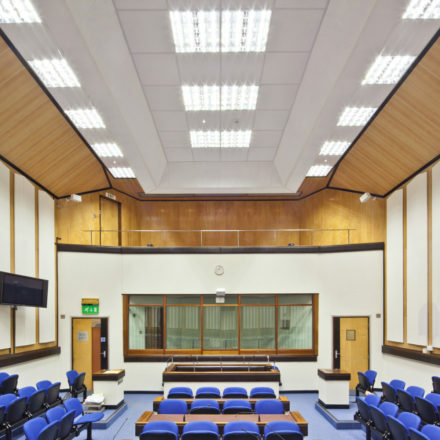 On the rest of the lower ground floor there are male and female changing rooms, a spacious meeting room, staff room facilities and a main reception desk/area, located at the front entrance. 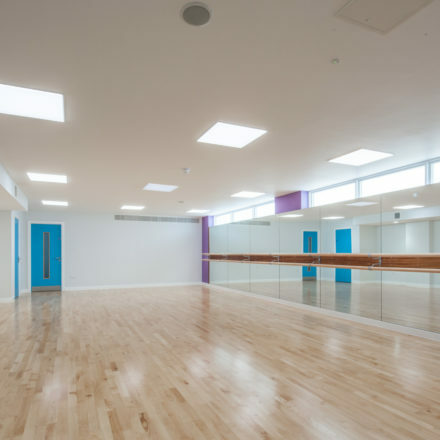 There is also a raised communal concourse that could be utilised for exhibitions or as a breakout area for group projects.From the first floor viewing gallery, you can oversee the sports hall which is then complimented further by the fully equipped gymnasium and dance studio complete with a wooden sprung floor and full length mirror wall & bar.